Lovely updated unit in Country Club Ridge with private entrance and LARGE PRIVATE patio, a RARE FIND! 3 year old kitchen, bathroom and paint throughout. 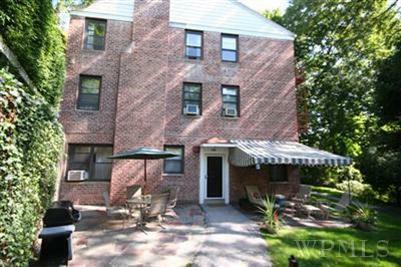 Lovely hardwood floors, very well maintained and gorgeous unit. Country Club Ridge features a pool, community garden, 2 playgrounds, BBQ areas, free uncovered parking, indoor parking available for a fee. Walk to shops, train, restaurants, 33 minute train ride to NYC. Maintenance does not reflect STAR deduction of $109/month. A must see unit!